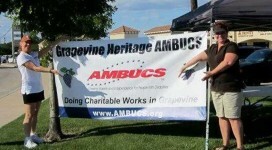 On June 1, 2019 Grapevine Heritage AMBUCS will host our 16th Annual Big Bike Run. AMBUCS is the largest single private source of educational grants for therapists in the United States. Both physical and occupational therapists acknowledge the AmTryke tricycle's many therapeutic benefits. The AmTryke is a cornerstone of what our organization offers to the community. 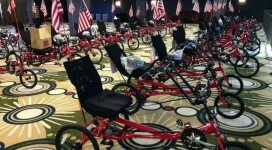 We donate these trykes FREE to families in need.